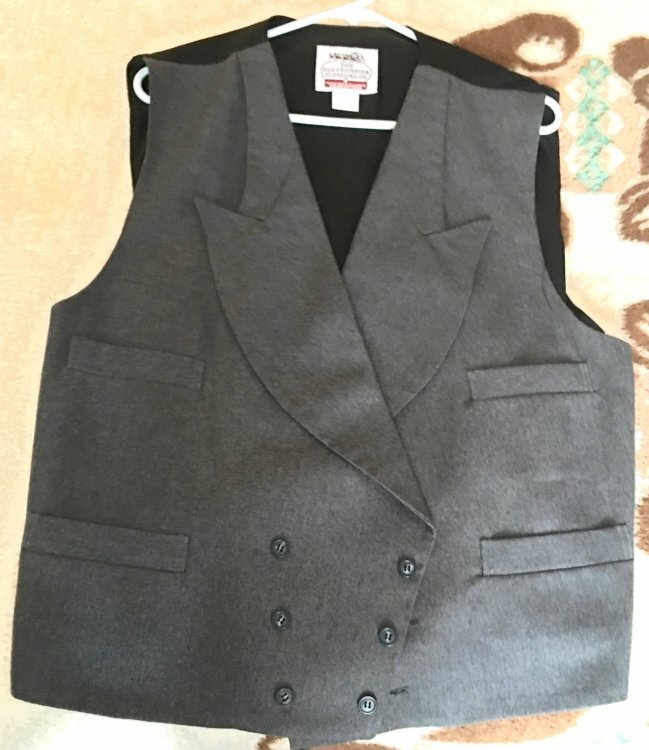 I have a Town Coat in fine worsted wool, 2 wool vests and 2 pair of trousers for sale, they are very well tailored and well made. 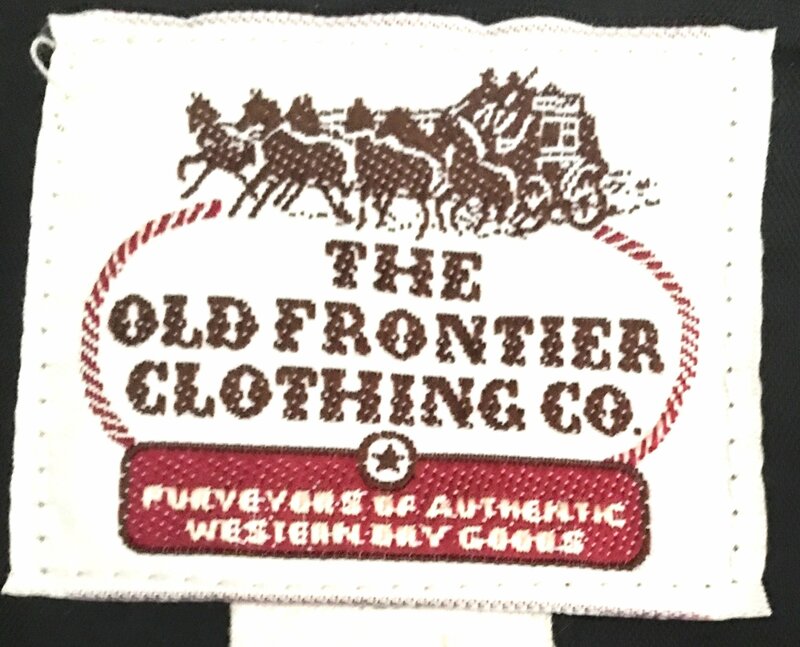 I purchased them from The Old Frontier Clothing Co. at one of the last End of Trails held in Ca. I am asking $300.00 shipped for the lot. 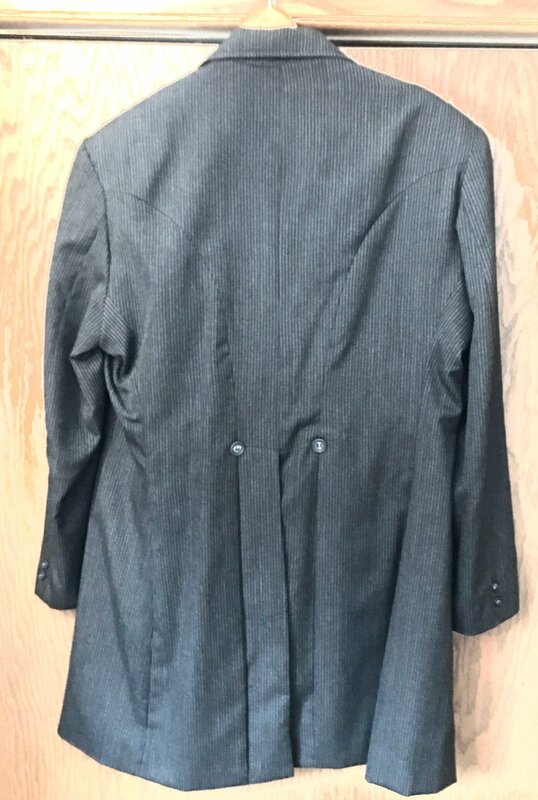 The coat is a real dark charcoal with a barley discernible pin stripe. 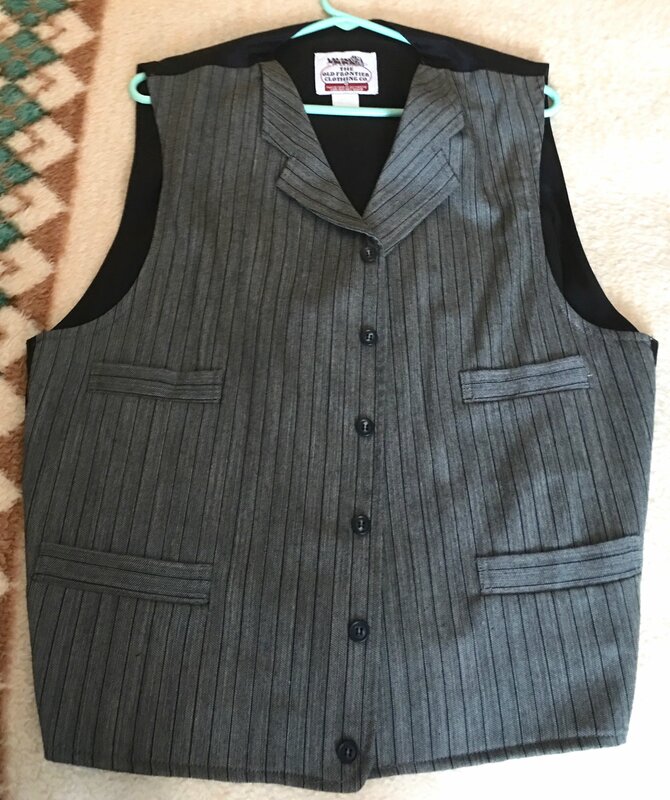 One vest is in a wool stripe and the other is a medium gray double breasted. 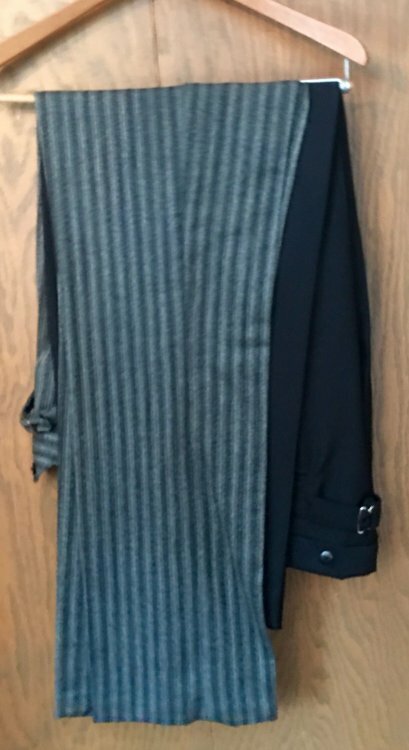 One pair of Black trousers and one pair of grey and black striped. 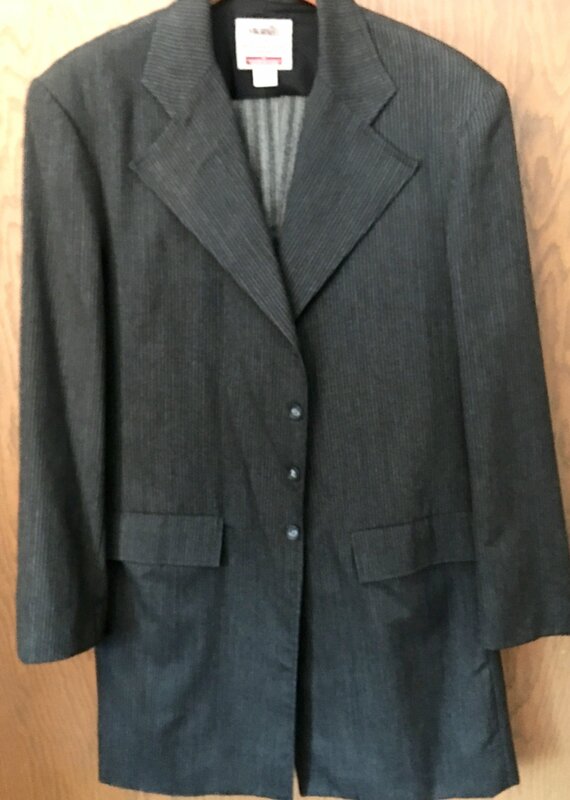 The coat is a 44 long or extra long the vests are xl and the pants are a 38 long with about a 35 or 36 inseam.